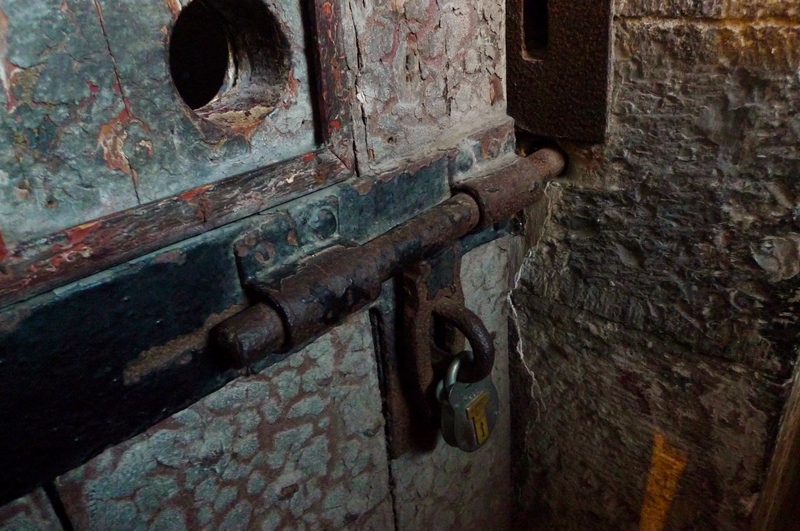 It has been said that tourists – and mostly American tourists – are the only reason that Kilmainham Gaol is still open because most Irish couldn’t be bothered with it these days. My new friend who is now happily married here in the U.S. agrees with the travel books that say things like that because he and his generation seem to be sick to death of the glorious dead mentality and couldn’t care less about the history and the Troubles that have haunted the country since even before the Rising of 1916. In fact, he was shocked that we were still asked questions about our religion and last names on our travels to Ireland at the end of last year, both in the Republic and the North because he thought those kinds of things were finished. However, when I did tour Kilmainham Gaol, I was in a group mostly made up of Irish people and all seemed just as profoundly affected by it as I was. Perhaps it was because of the off season which meant my group was thankfully smaller when we went through the infamous prison, or perhaps it was an anomaly altogether but I was glad for it. It made for a decidedly more intimate and more personal experience.